Her parents were Elizabeth Sexton and Patrick Daniel Sexton. They had grown up together and so they knew each other most of their lives. Margaret’s father was a farmer and her mother looked after the family. Margaret had eight sisters and one brother. Mary Anne was the eldest, then there was Ann, Lilly, Tess, Johanna, Ellen, Dan and Kathleen who were twins, and then Bridget. Margaret was the sixth child in the family. She remembers playing hide and seek with them all in the back yard. Mary Anne was a writing assistant in the Irish Civil Service. Anne Moved to Bournemouth and became a nurse. Lily and Tess were both clerical officers in Dublin. Johanna and Bridget were both midwives. Dan inherited the farm from their dad. Margaret’s earliest memory is starting school at 5. Margaret would walk to school with her sisters. At the primary school there were about 13 or 14 children in the class, ‘We had a black board and chalk to do our work on.’ Margaret’s secondary school was called Convent of Mercy Spanish Point, ‘We were taught by nuns.’ Margaret loved learning languages. As a teenager Margaret said she was, ‘a decent person. We loved dancing. I always loved dancing. My mum played the concertina for us while we danced.’ She remembers her first boyfriend, Cyril Hayes. He was a student in Dublin. She left school at 17 years old and when she was 18 years old she,‘ travelled from the West of Ireland to London on my own.’ She came over to study nursing at the Mile End Hospital and Bethnal Green Hospital. Nursing appealed to Margaret as she liked to look after people. She had looked after her dad when he had been ill. She enjoyed making people comfortable and settled for the night. She did 6 weeks Preliminary Training at Mile End at the London County Council Hospital. And then went to Bethnal Green for the three years General Training to become a State Registered Nurse. 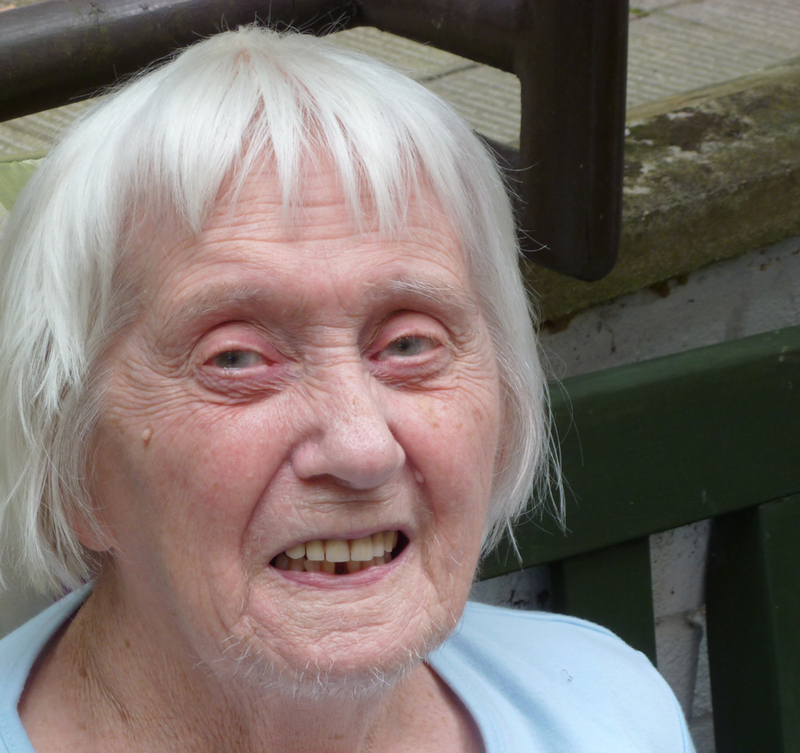 When she had completed her training Margaret went to Moorfields Eye Hospital for further training and qualified as an Opthalmic Nurse. Margaret worked in Ipswich for a while at the Ipswich Hospital and also in other parts of Suffolk. And she remembers going down to Cornwall to work. She said they didn’t earn ‘an awful lot. ‘ She spent her money on clothes and going out to eat, going to the cinema. When she was at the Bethnal Green Hospital she went for walks in Victoria Park in her free time.